A blog about the Jaw harp. I know it's been a while but living in America these days means working harder, more stress, and less time. All work (and that's if you're lucky,) no play, makes Johnny a dull boy! Regardless of the state of affairs in the States, life goes on and people keep on keeping on. Got no choice, really. On to our instrument. I came across a talented artist from Kentucky. His name is Ben Sollee and the man has very good, deep roots that come out loud and clear in his music and lyrics. There is a track where you can hear the jaw harp here. Go to the bottom of the page, the last item, and look for "Bury me with my car". You can also listen to the song here. Otherwise, here's a live solo version of the song, sans jaw harp. Makes it easy to play along your own version. From Kentucky to the Gobi Desert, here is a very nice piece (and cool film) from Mongolia. I don't have too many details but you can look it up on the web. 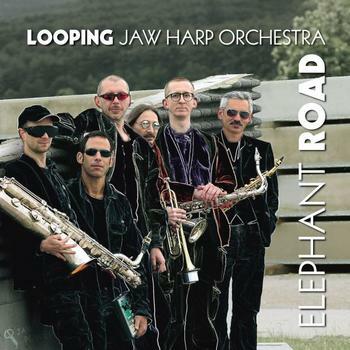 From Kentucky to Mongolia, and now to Austria, introducing LOOPING jaw harp orchestra! This band is off the charts. They are somewhere between rock, jazz and world music but honestly, there's something else going on. Check out their music here and their band web site here. I would love to hear them play live. We need to encourage newcomers to the instrument. This is Gio's beginning attempts and I think he should be commended on it. Go Gio! You're doing great! Some of you who have been following this blog know I like techno. With that in mind, let's zoom over to Budapest for some block rocking beats. And of course, the great Nadishana playing at the 6h Jaw HarpFestival in Kecsemét, Hungary. See? It's worldwide. While you're at it, also check out Nadishana and Aron Szylagyi perform together. Szylagyi harps are great so get one, or two, or three. Some people think Jazz is Jazz and no room for a jaw harp. Well guess what. Watch this, or at least the intro. Stay for the musicianship. Get ready. 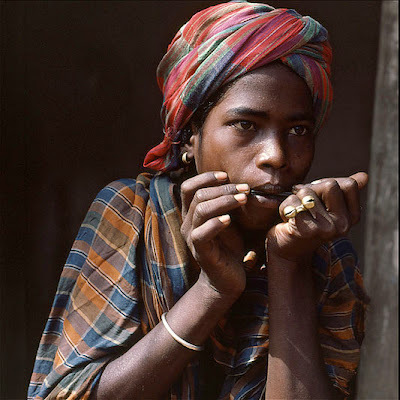 Here's a beautiful photograph I came across of Roderic, a Jaw harpist from a village in India called Remawand. Photo by Collin Key, a photographer based out of Germany. Techno Hippies, toad licking, Imogen Heap and Thomas Dolby. Here's an interesting video from Thomas Dolby. He explains putting together a track using the web, a studio and friends like Imogen Heap. I believe she's using a Hmong harp like this one. Enjoy! That will be all for this time. Keep the faith, keep up the good vibrations, be good to one another as much as you can, and don't forget to have fun. You can submit J-harp related events here. Events, concerts and workshops for the J-harp. Another don't miss, Grammy Award-winner David Holt and his band the Lightning Bolts are touring. For nearly four decades, David Holt has been committed to performing and preserving traditional American music and stories. He's a talented multi-instrumentalist whose skills include playing and giving workshops about the jaw harp.